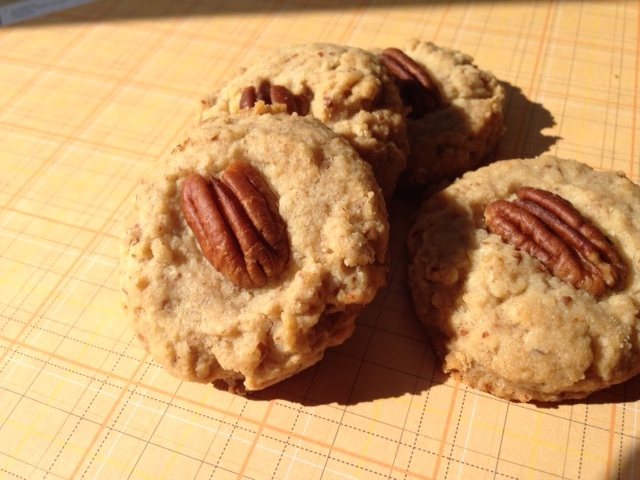 Pecan Cookies – Simple and perfect for the season | ...and another cup of coffee. 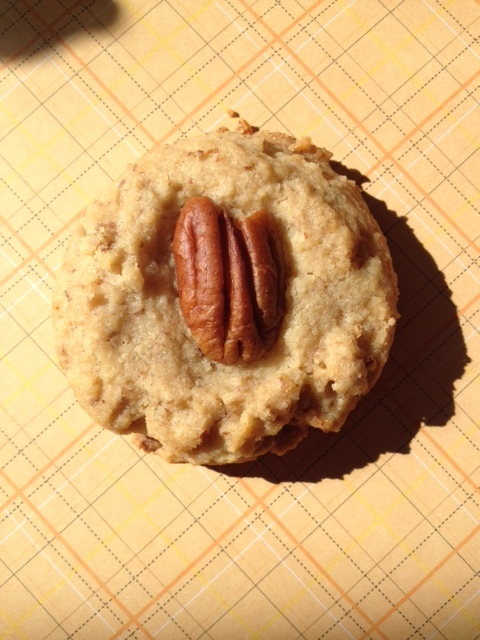 A perfect and simple recipe that is perfect for cookie exchanges, gifts, to have next to coffee with friends or just for a little treat to have around. This recipe is not complicated and requires just the bare essentials you would have around your baking pantry. The only thing that I had to purchase for this recipe was the Demerara sugar (also called Turbinado sugar), which I found quickly for under $3 at my near by Trader Joe’s, but you can find it in most grocery stores. I especially didn’t mind going out of my way to get this sugar because these cookies were “awesome” according to Little Diva. Another thing I liked about making these is that it was simple enough that Little Diva helped me make them and she had so much fun! Place 1 Cup of the pecan halves on a sheet pan to bake for about 5 minutes, until they are toasted. (Make sure they don’t burn) Cool completely. Place cooled pecans plus ¼ cup of the flour in a food processor with the steel blade and pulse until the nuts are finely ground. Place the mixture in a medium bowl and add remaining flour, salt and baking powder and stir. In a bowl of a mixer with a paddle attachment, cream the butter and sugar on medium speed for 2 minutes, until light and fluffy. Turn mixer to low and add vanilla and dry ingredient mixture. Mix just until the dough comes together. Use a small ice cream scoop and form the batter into balls about 1 inch or so. Place the balls at least 1 inch apart on parchment lined baking sheets. 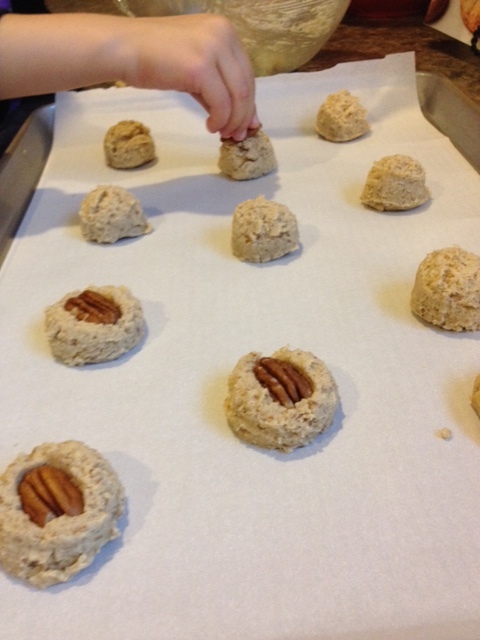 Press a pecan half into the center of each ball of dough, pressing the pecan just about halfway down. Bake for 20 to 25 minutes, until the cookies are golden brown around the edges. Cool for 5 minutes before placing on wire rack to cool completely. -I hope you enjoy these delicious cookies. « $7 off Coupon for The Little Mermiad Blu-ray Combo Pack, Print Now!